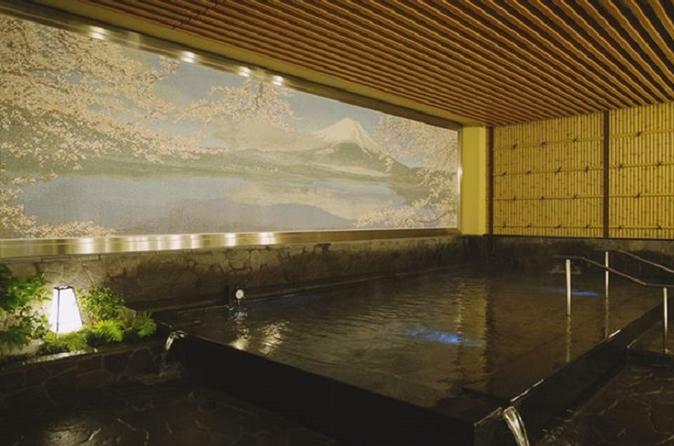 Relax in one of the famous Japanese Hot Springs, in the heart of Tokyo. Here you have the chance to experience a natural Hot Springs (Onsen) Japan is famous for. You even don`t have to drive to the countryside: this facility is in the Shinjuku District, in the heart of Tokyo. This should reduce your travelling time greatly, and let you enjoy your spa day to the fullest. Inside the Thermae-Yu facilities there are six different baths. The water there is highly carbonated and is said to have rejuvenating effects on your skin. There is furthermore an open-air bath, and two saunas. With our special ticket you are eligible to enter at any time during the opening hours (11am to 9am the next day, entry until 8am). After making a reservation, please wait for the voucher send to you by our team. Please also make sure to read the important information regarding the rules for entering.